What’s next for California water? California faces yet another period of transition in water management, with attendant turmoil and uncertainties. Since statehood, California’s landscape, society, economy, government, and environment have undergone a series of great changes. So going through another shift, while dramatic, is not especially shocking. Water management in California has undergone several major transitions. The time from 1850 until the early 1900s was an era of chaos, as settlers and institutions from the humid eastern U.S. struggled with abrupt climate change when they settled in California’s semi-arid environment. This period reshaped water law, and provided new forms of government and technologies—first for mining and later for irrigation and flood protection. The rhetoric and controversy of these times illustrate deep conflicts and confusion regarding water problems and how Californians should address them. 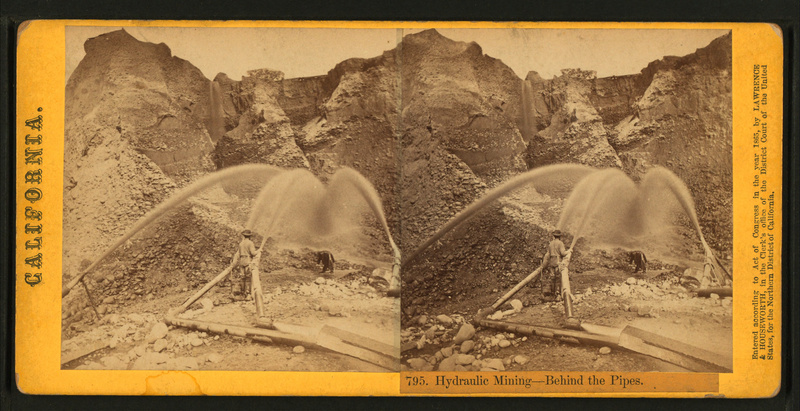 Among the changes were the court-mandated demise of hydraulic mining, due to its harm to California’s rising agricultural economy, and the establishment of the “reasonable use” doctrine, that allowed water law to adapt as California’s economy and society grew and developed. With the 1930 State Water Plan, California had a firm direction for how to handle its water supply and flood problems. It would build. There was often controversy over what to build, where, who should control, and who should pay, but the answer was usually to build. And Californians built famously. 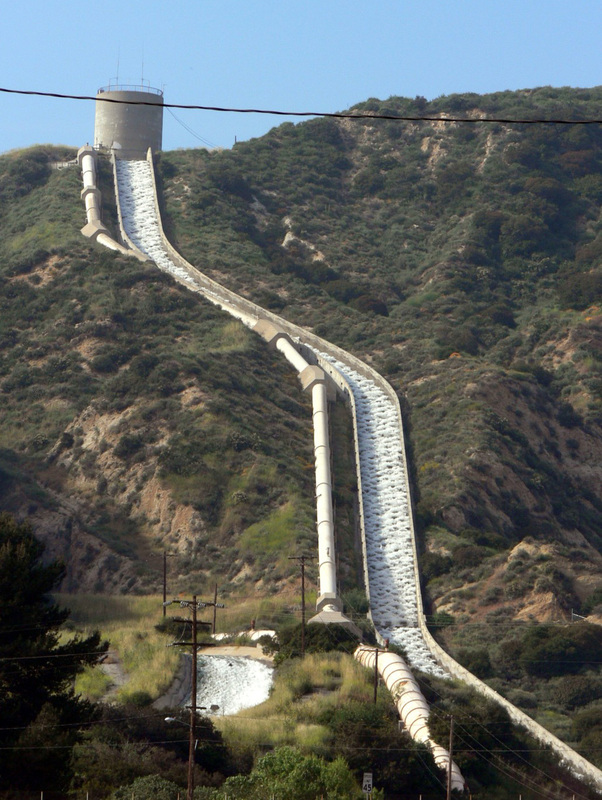 By 1980, a vast network of reservoirs, canals and exploited aquifers transformed California. This system was largely designed to support an agricultural economy envisioned in the latter 1800s, which greatly exceeded the gold mining economy it replaced. But by 1980, agriculture was only 6% of California’s economy and employment; it is now 5%. The transformation from an agricultural-based economy to a modern and far wealthier service and industry-dominated economy brought an interest in ‘saving’ the environment and reduced overall economic dependence on traditional water management. The public, political and legal reaction was to stop expanding water projects. The immense political and legal efforts of this “Stop it” era effectively ended traditional water development and spurred many water management innovations. In the “Stop it” era, water project construction agencies lost most of their original mission and became more regulatory and planning agencies, without a firm direction or mission for management. Any construction became highly regulated and exhaustively designed. Alas, ending traditional water development management has not been sufficient to protect California’s native species and ecosystems. Water development and population and economic growth have brought great, often irreversible changes to California’s ecosystems – and native species continue to decline. As a result, additional Endangered Species listings impact environmental management and regulation. Stopping harmful activities piecemeal is not enough for environmental success. Despite some very important improvements, traditional environmental management has slowed environmental degradation but has not stopped it, to the detriment of human health and welfare. Since about 1990, California has seen a new era of conflict between traditional, old-style water management and old-style environmental protection, but neither is effective at protecting environmental objectives or preserving a prosperous economy. Devotion to this conflict has distracted public discourse from more serious consideration of environmentally and economically sustainable solutions. 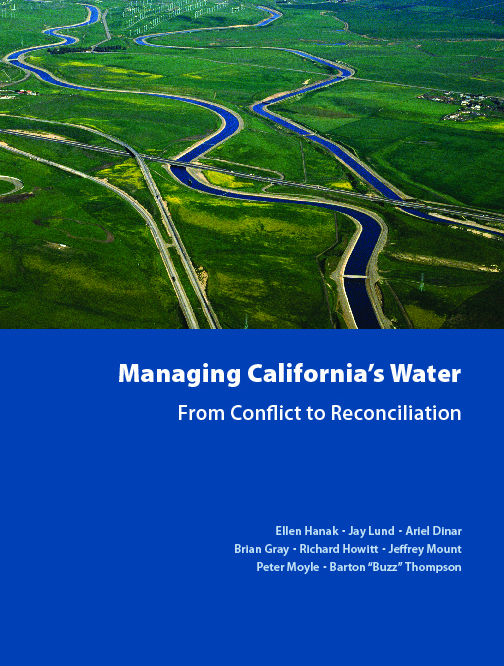 In Managing California’s Water: From Conflict to Reconciliation, released today, a diverse group of independent scholars of California’s water problems examines its history, present conditions, and important trends. These experts make strategic and sometimes necessarily difficult suggestions for improving the long-term economic and environmental prosperity of this system. A major theme is to realign management from refereeing conflicts to providing greater and more effective reconciliation and coordination. Moving water policy and management in California from “who wins” to “what works” is the central challenge. This will require better integration of diverse environmental and water management activities, focused and funded mostly locally and at the basin scale, but with more effective statewide coordination. This will not eliminate conflicts, but should focus them on finding productive solutions. Portfolio approaches to water and environmental management, which combine management of supplies, demands, quality, and flooding, seem likely to produce more robust, economical and adaptive solutions. Such solutions will require more science, engineering, and integration of diverse actions from within and across institutions. Economic incentives and markets will often be useful for implementing such innovations. Water markets, while never perfect, have already shown their economic and environmental value. Expanding and improving market and economic incentive mechanisms is important for moving forward. Of course, more effective state and federal institutions also will be needed, led by capable ambitious individuals and organized to be effective for current and future conditions. While many will find our conclusions inconvenient, California’s water problems must eventually be addressed and will require more than incremental changes. Solutions will be better and quicker if we start working on them now. The transition to a better California will not be easy or without controversy, but if thoughtfully done, it will aid both its economy and its environment. The book, Managing California’s Water: From Conflict to Reconciliation, can be downloaded free as a pdf, or purchased in paper or e-reader formats from amazon.com. This entry was posted in California Water and tagged California, UC Davis Center for Watershed Sciences, water management. Bookmark the permalink. 2 Responses to What’s next for California water?